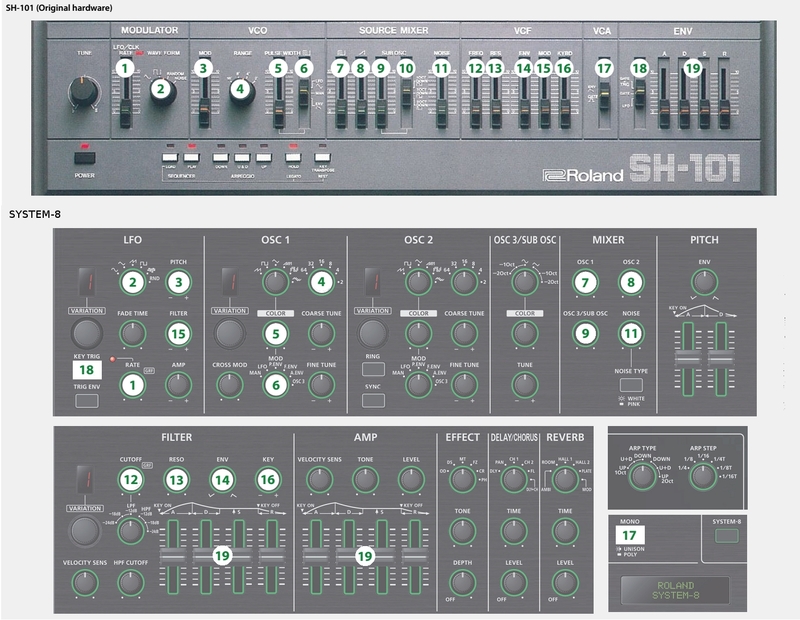 Nice that Roland continue to add content and updates to this, with some newly added System-8 patches and effects for the VT-4, but what has piqued ny interest is the new option to send patches to the System-8 direct from the site rather than having to transfer them to an SD card. This means that it would appear that the System-8 now supports Sysex, one thing that it seemed to have lacked. Now, if only they would release the specs for it, then we could start on the road to building a librarian, or setups for the BCR200 and other controllers. 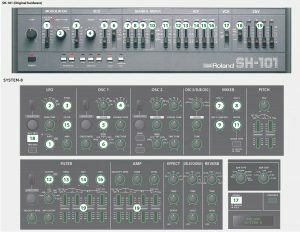 I’ve added a page for some System-8 patches I’ve been putting together. Whilst waiting for my Boog to arrive, I thought I’d try porting some patches from it to the System-8 so there’s two lots of patches derived from patches designed for the original Mood Minimoog. There’s a set of patches created just using the System-8’s FM oscillators and a set where I’ve used different combos of oscillators and filters. These can be downloaded as individual bank files, or as one complete file containing all the banks. New update for the System-8, plus a bank of patches and a new manual. Please refer to the “Reference Manual” for detailed information in the [ Owner’s Manuals ]. Two types of variations were added to the oscillator ( FM x 2 ). Five types of variations were added to the filters ( JUPITER-8, JUNO-106, Formant x 2, Harmonics ). An overdub mode was added to the step sequencer. Performances sometimes fail to be saved correctly. Added MX-1 and System-8 cheatsheets on the cheatsheets page, tho’ TBF, the System-8 one is just a list of the available CCs ATM. Based on this upate, we can assume further updates will be made for the System-1 so that other Plug-out updates will work with it as well.